Let’s start out this article with the news that is going to be considered the most pertinent: There is no new installment coming on the air tonight, and there’s not going to be for many months. Last week’s “The Unraveling Part 2” was in fact the season 1 finale, and we think that the show did a good job of really establishing both its world and some of the characters in it during season 1. Now, of course, it’s time to move on to bigger, even better things. A season 2 was ordered earlier this summer by the network, and filming is actually underway on it already (you can read more about that over here). Production is going to keep going strong over the next few months as Kevin Costner and the rest of the cast do their part to make sure that this story remains every bit as dramatic and interesting as it was the first time around. While there hasn’t been any formal casting news confirmed just yet, we have to imagine that this will be one of those things that is eventually announced down the road. There’s no real hurry for anything right now, but if you love the show and want to support it during the off-season, the best thing that you can do is spread the word about it! While the ratings were fantastic for the first season — this is the most-successful new basic cable program so far this year — there’s still a chance to get it even more popularity and success moving forward. We can easily see viewership spike if more people become aware of it. After all, we just feel like people are starting to get a good sense now of what the Paramount Network is all about following it’s rebranding from Spike TV. 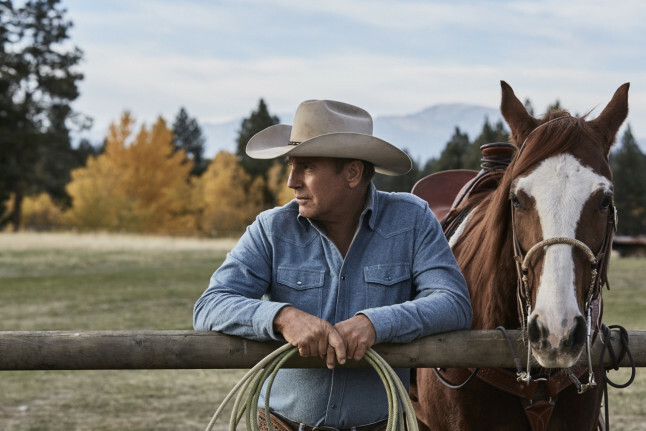 Yellowstone season 2 will premiere in 2019. What do you want to see when Yellowstone returns to the air? Be sure to share right now in the attached comments!